A charming, romantic, one-bedroom, loft style log cabin with stone fireplace and gas logs. 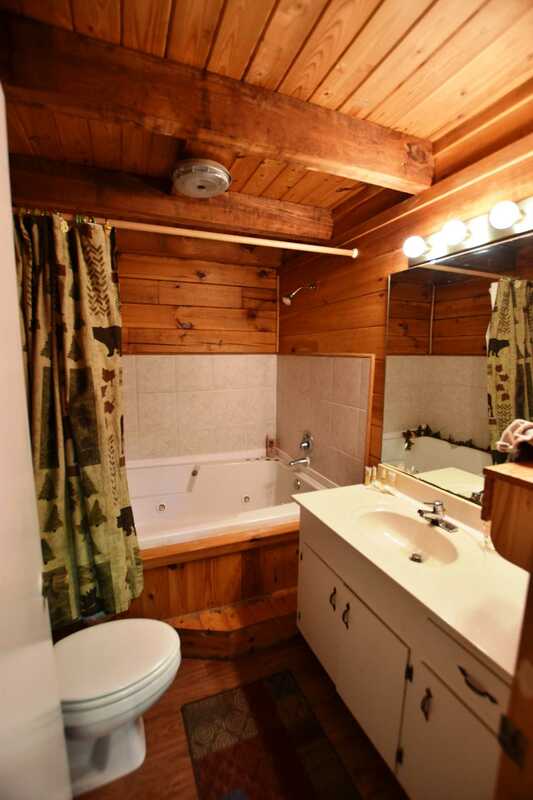 Full bathroom with oversized jetted tub for two. 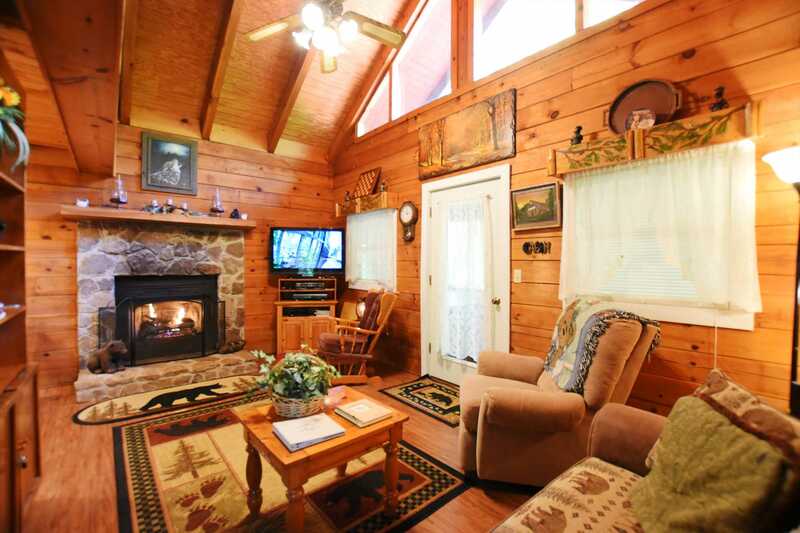 There's a screened porch with a hot tub and a comfortable sitting area for ultimate relaxation. 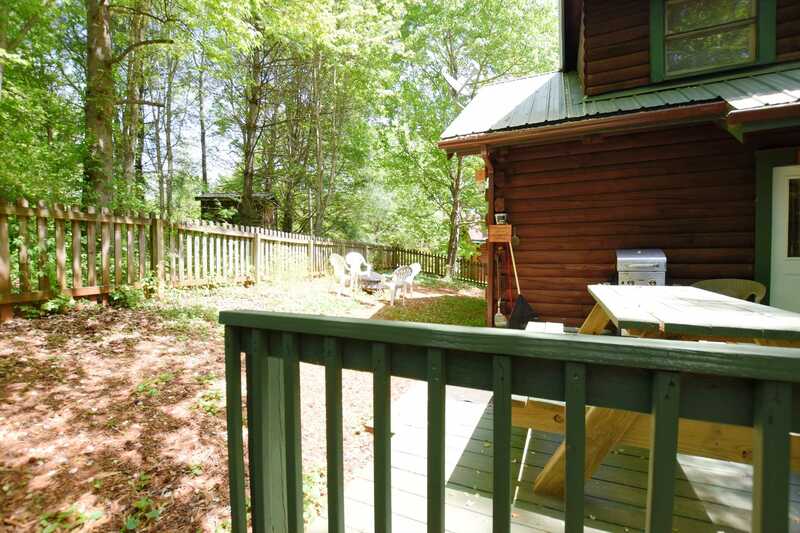 Open deck with lots of trees and shade with a gas grill and picnic table for great outdoor cookouts and dining. 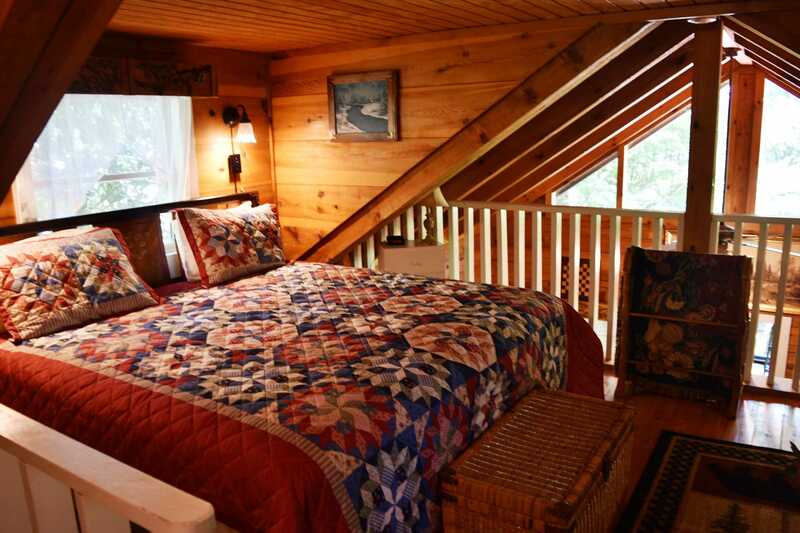 Master loft has king-sized pillow top bed with a lovely sitting area. 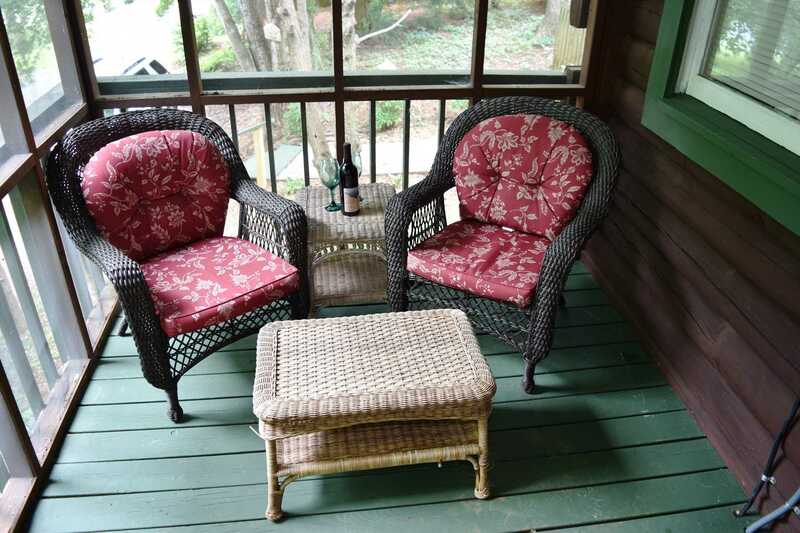 The loveseat makes it a perfect place to relax, read a book, or just have a quiet moment. 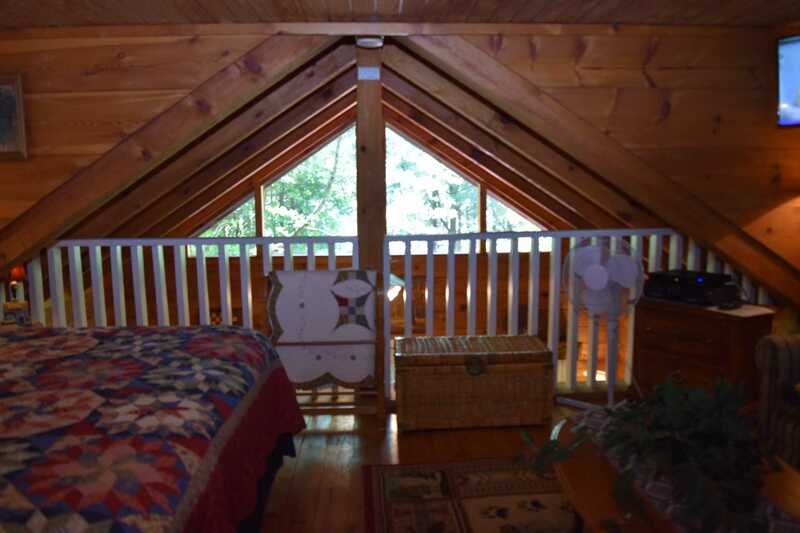 Open both windows and enjoy the cool mountain air. 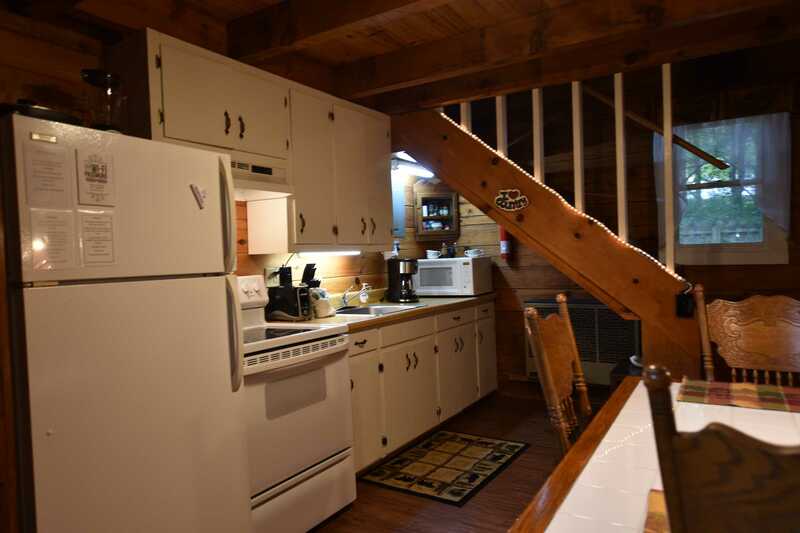 The fully equipped kitchen with a full sized refrigerator, stove, microwave, coffee pot, toaster and blender, an eating space with seating for four. 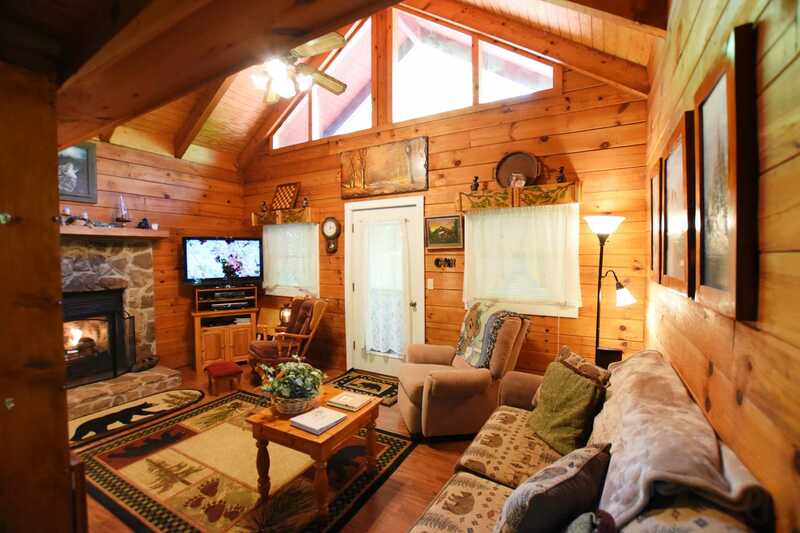 The living area has a couch with a queen-sized pull out bed, a recliner and glider rocker to relax and watch the flat screen TV with VCR and DVD player available. A bookshelf stocked with DVD's, video tapes, books and games are there for your enjoyment. 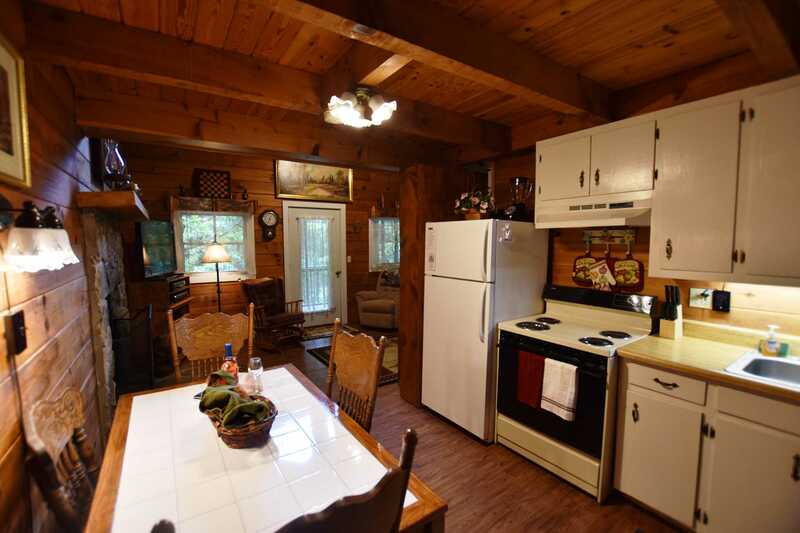 Cabin has WIFI as well. The roads are paved which allow for easy access for all vehicle types including motorcycles. 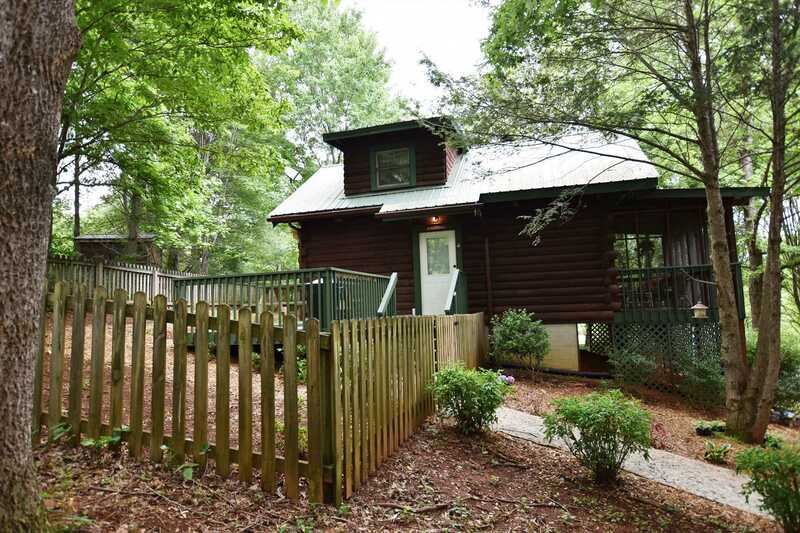 Conveniently close to everything, but is very quiet, private and peaceful. 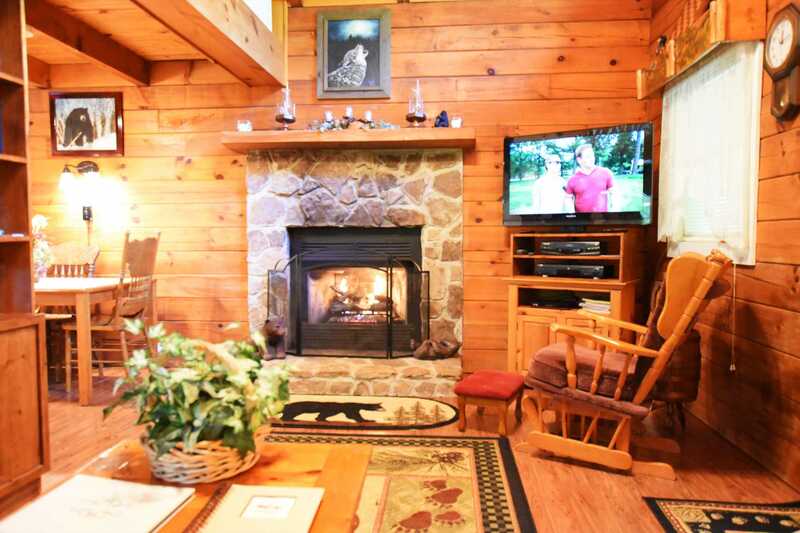 A romantic place to spend your honeymoon, anniversary or just escape for a fun filled weekend. 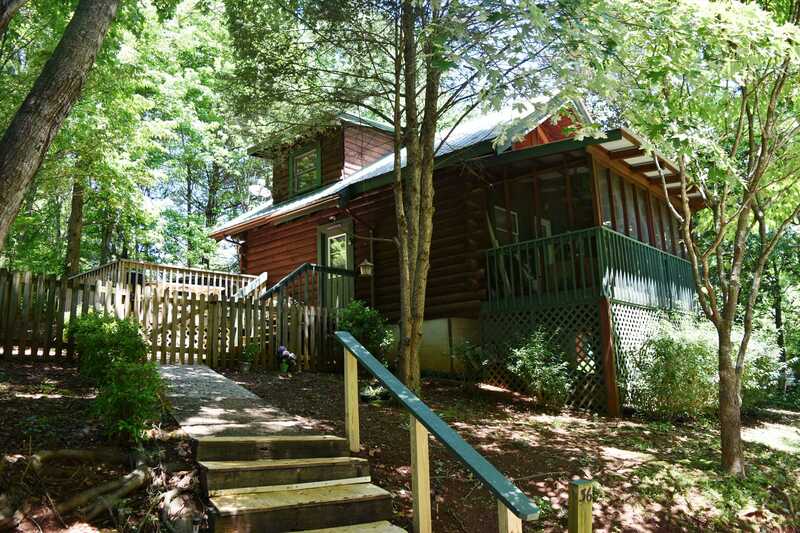 Unicoi State Park offers hiking, swimming and fishing, ziplining, paddle boarding, kayaking and more. 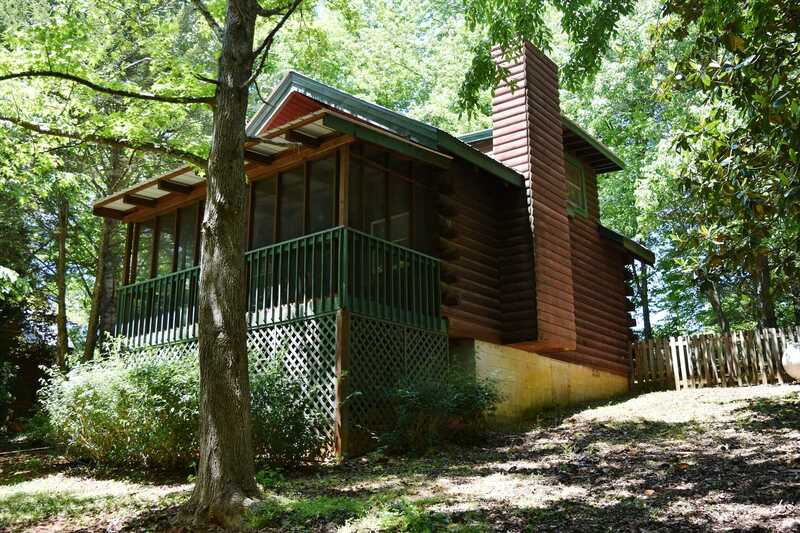 Local Waterpark including tubing through the Chattahoochee and is a very affordable family activity. Feeling adventurous? 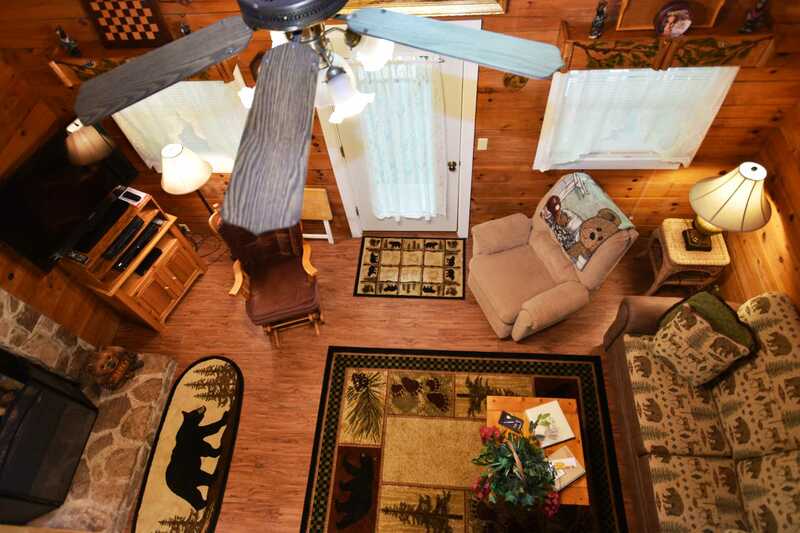 Try out other area Zip-Lines, 4 Wheeling or Horseback Riding. Enjoy downtown Helen with all the beautiful shops, restaurants, beer garden and music; It's only a mile away. 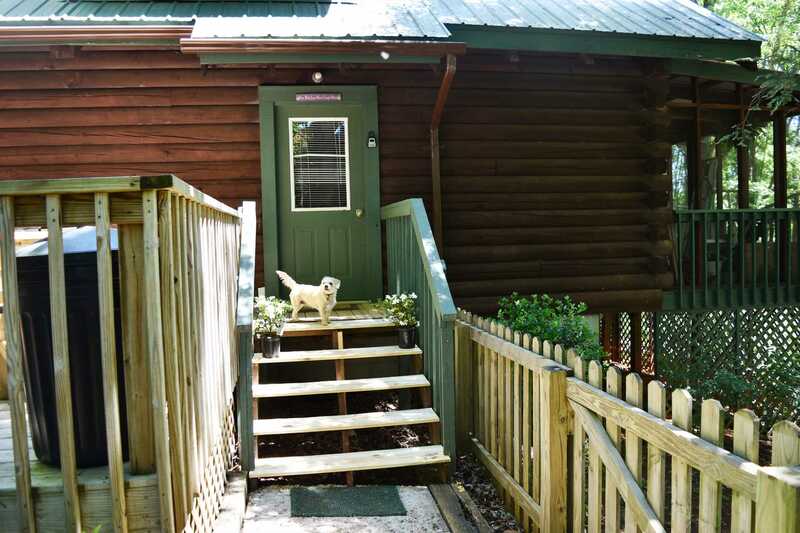 We are not just pet friendly, we are "pet welcoming". Your pet is a member of your family and we want to make sure they enjoy their vacation as much as you do. There is a shady, fenced area for your pet to run and play and be with you without being confined. 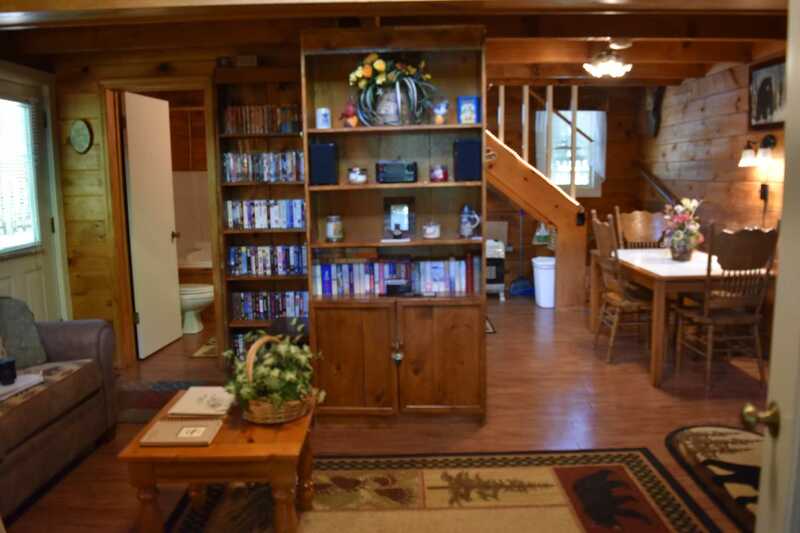 There is a large wooded area that is part of this cabin's property just across the parking area, to walk your pet. Pets must be on leash outside of fenced area. 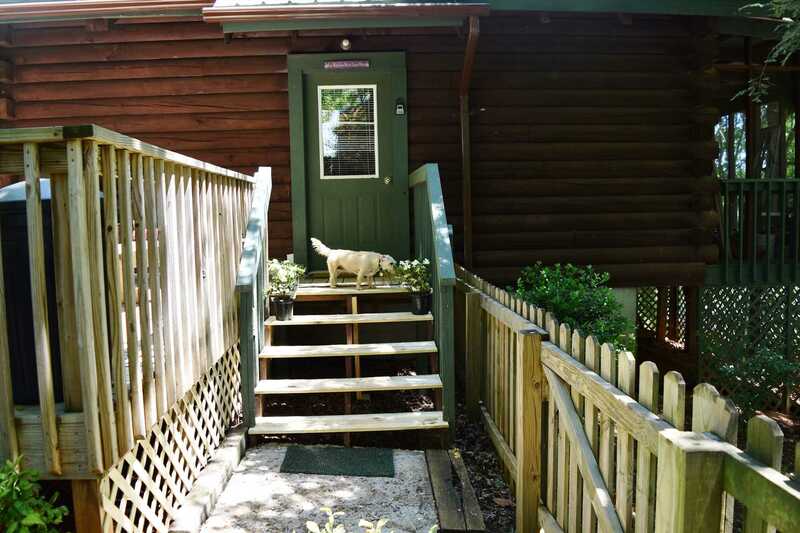 If you want to enjoy all that the area offers, you can leave your pet in the fenced area or screened porch. 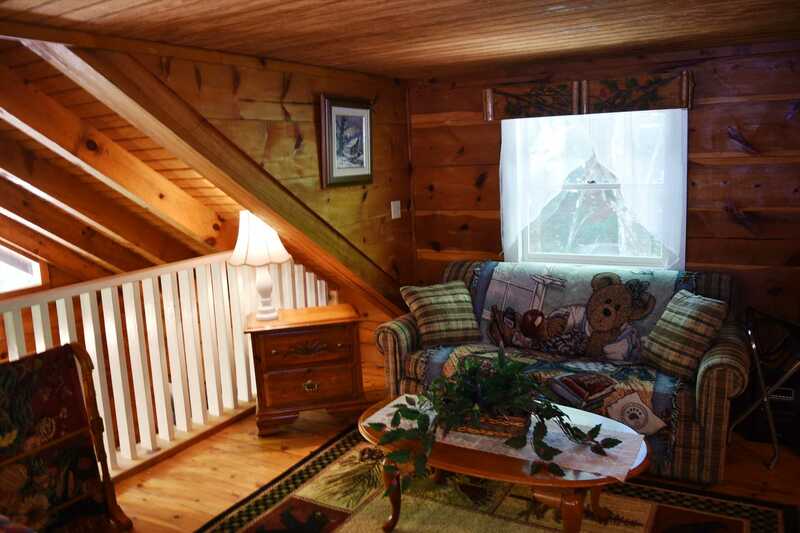 Your pet MUST be crated if left alone in the cabin. A crate is provided for you for no charge and will hold up to a 50 lb. dog. Pet waste must be removed from the fenced area. Great location if you love to ride! 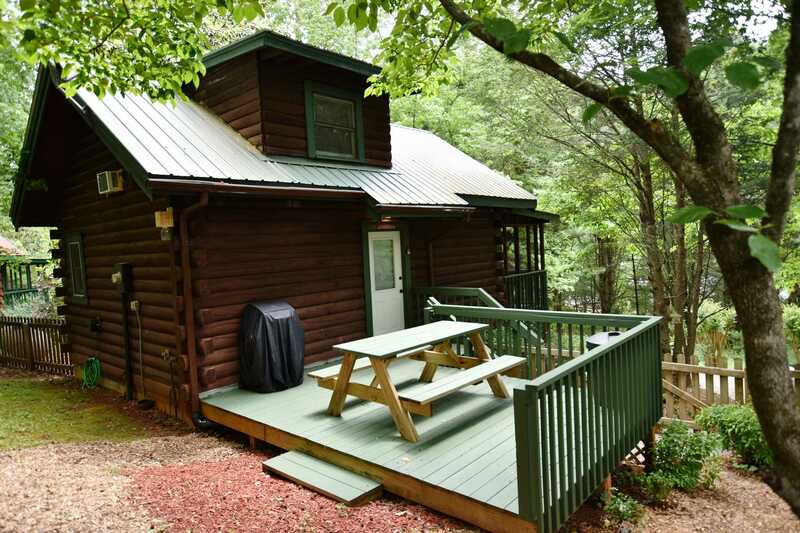 Only one mile to downtown Helen and Unicoi State Park with paved roads right up to the short gravel driveway to cabin. 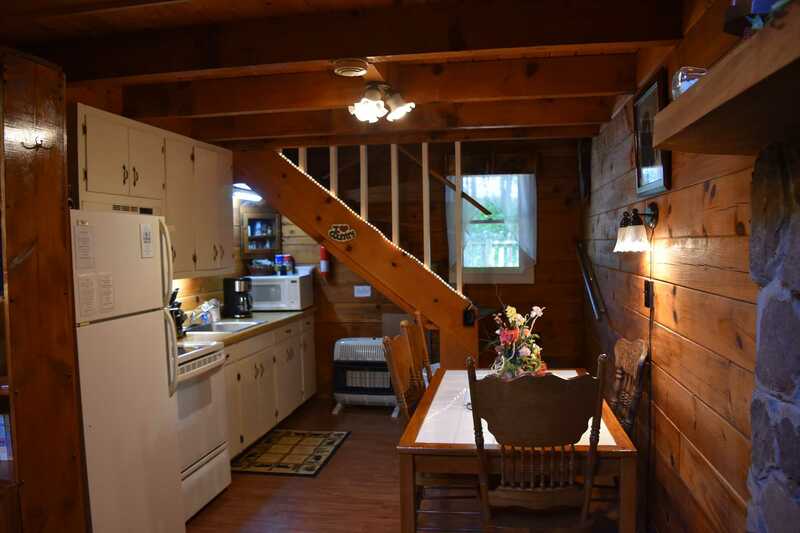 Enjoy the restaurants and shops, the fun and music of the beer garden, with only a short ride to your private and quiet cabin. 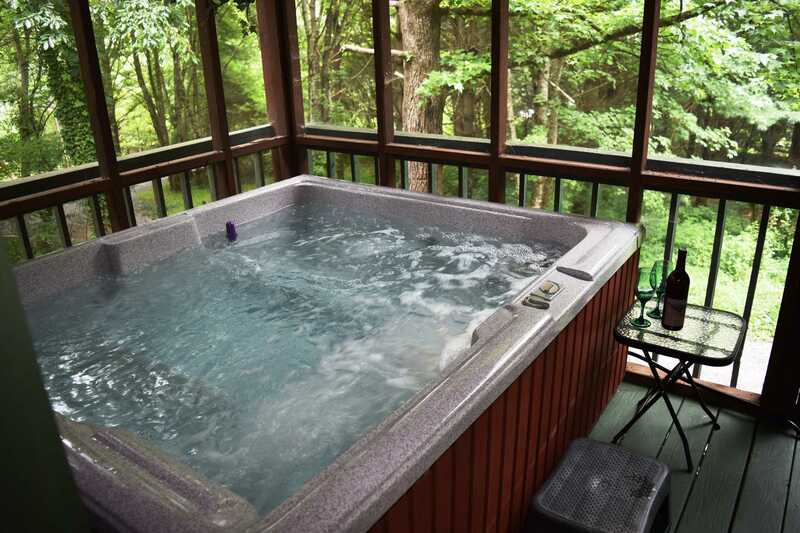 No long, dark, windy or dirt roads to navigate after a night of fun, just five minutes home to relax in your hot tub. Only a quarter mile away there is a convenience store to get gas, ice, beer and many other supplies without having to go into downtown. Walkable in 10 minutes! 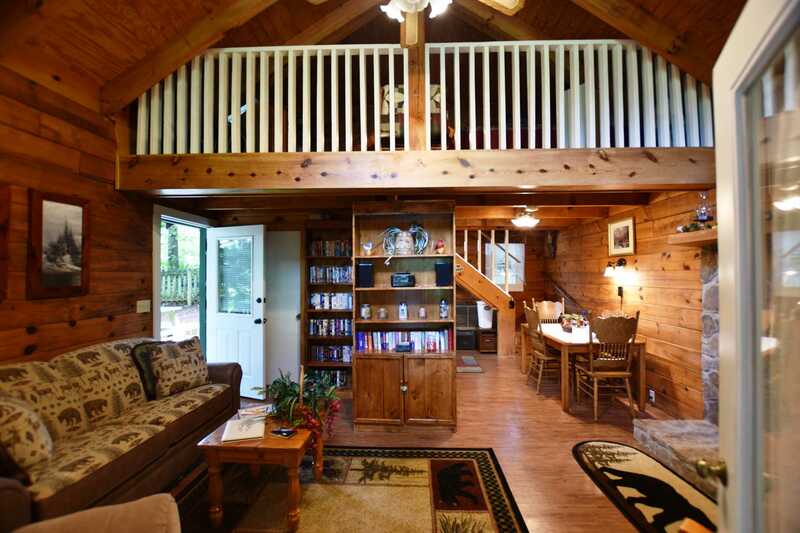 This property is about 1 mile from the city of Helen.